Well it's the day before my surgery :s and I'm getting nervous. I have already done posts for the next few days and they will automatically happen each day. I'm really impressed with how well this card came together. 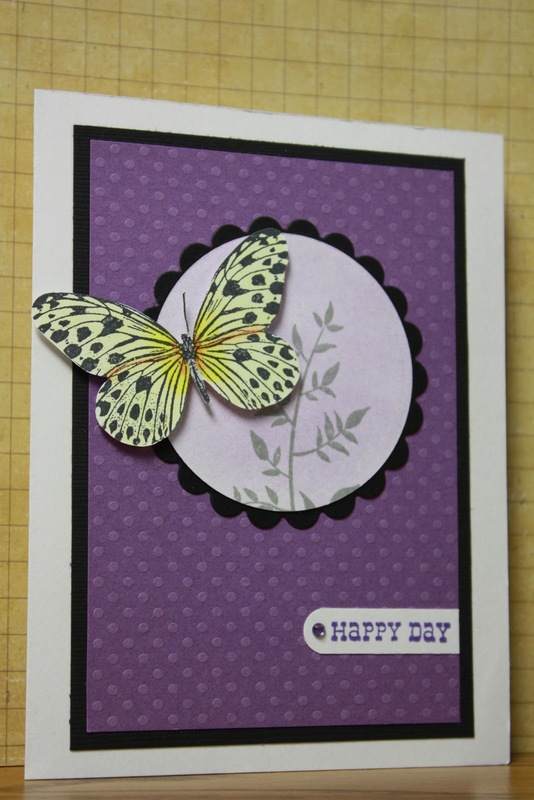 Several different stamps were used- the butterfly from Stampendous, the leafy branch from SU!, and the sentiment from Michael's.